this morning the i found the printer has stopped ad half print, but this time without screen freezing and i was printing pla with a open enclosure. My bet is that you need to replace the ribbon cable to the break out board on the extruder. Sounds like the exact random errors I got. Noren wrote: My bet is that you need to replace the ribbon cable to the break out board on the extruder. Sounds like the exact random errors I got. Same failure here. After just 1 print. Looking for a solution that is a bit more versatile. 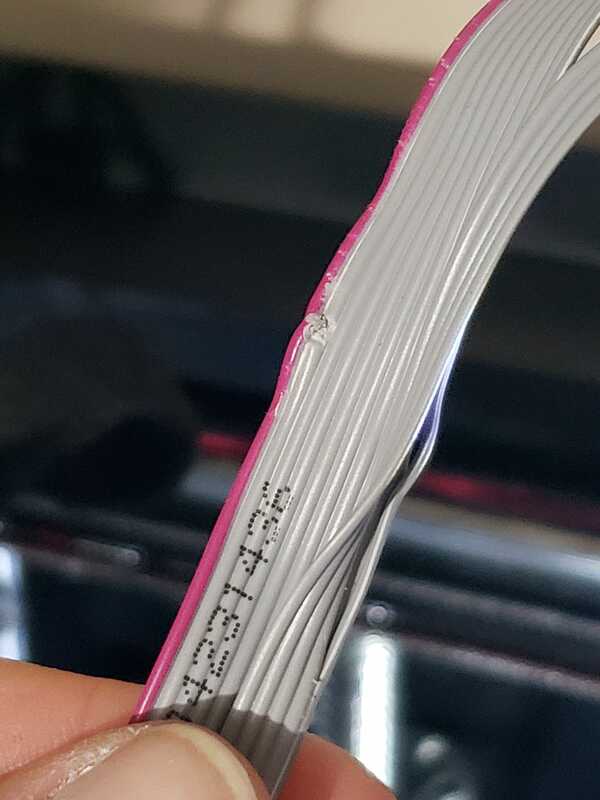 I would hate to have to replace this cable after every few prints. DetroitCW wrote: Same failure here. After just 1 print. Someone mentioned replacing them with a braided cable. But I don’t have any info about what kind of cable and connector. If someone has info about this, please share. Also if anyone has info about what type av cable chain that would fit the N1 I would be happy. And how to attach the cable chain to the printer. I saw your error pic that type of error generated when you run printer in hot temperature & machine does not perform.so just stop for few minutes after that again run. Do that step.